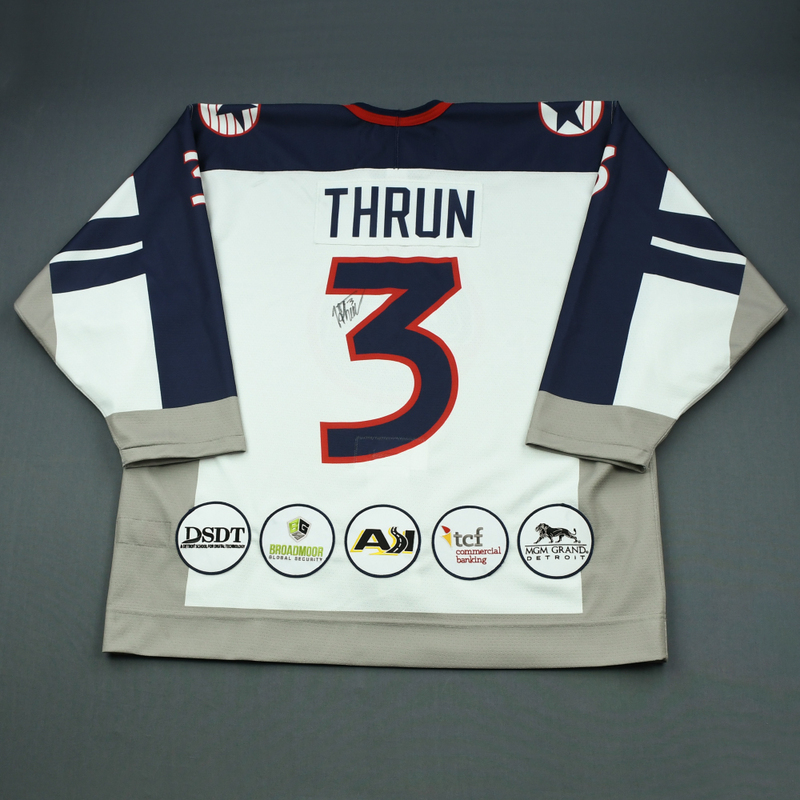 This auction is for the actual ‘98 Throwback Salute To Heroes Game-Worn Jersey worn by #3, Henry Thrun on March 22 and 23. 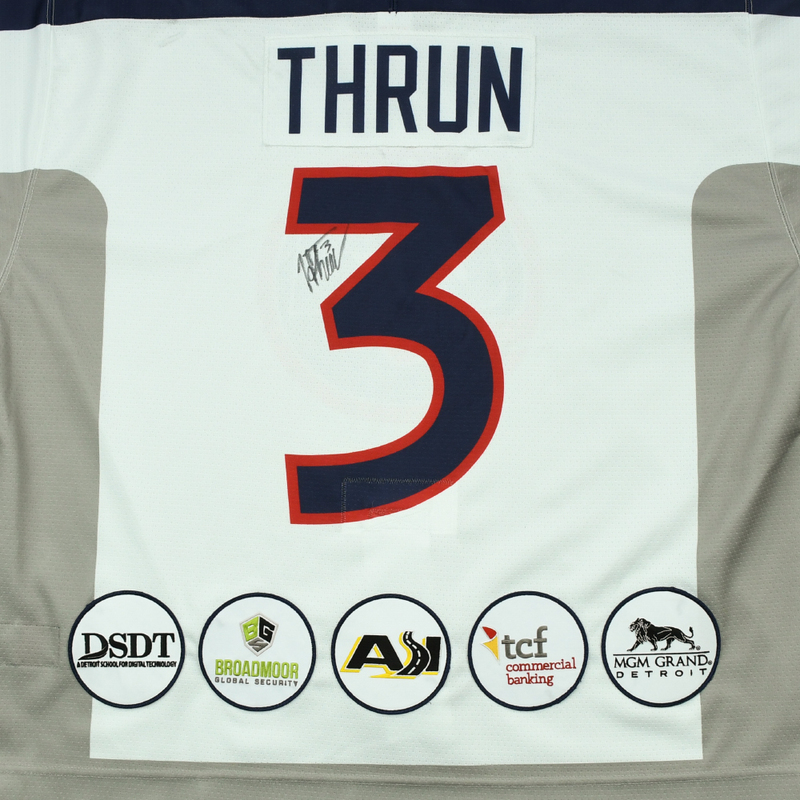 Thrun signed this jersey after the second game. 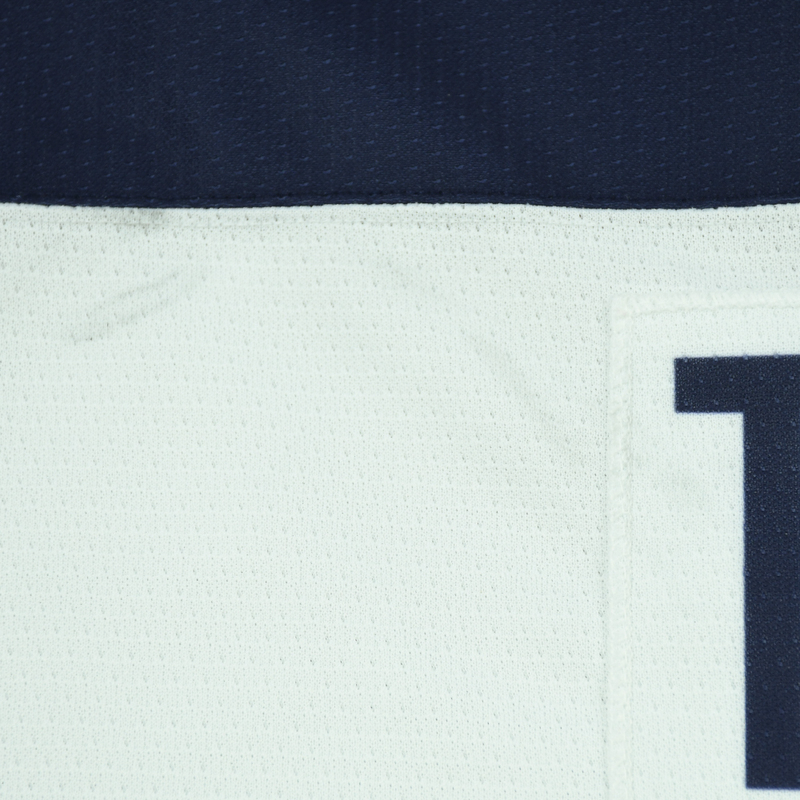 Thrun recorded as assist on March 23. 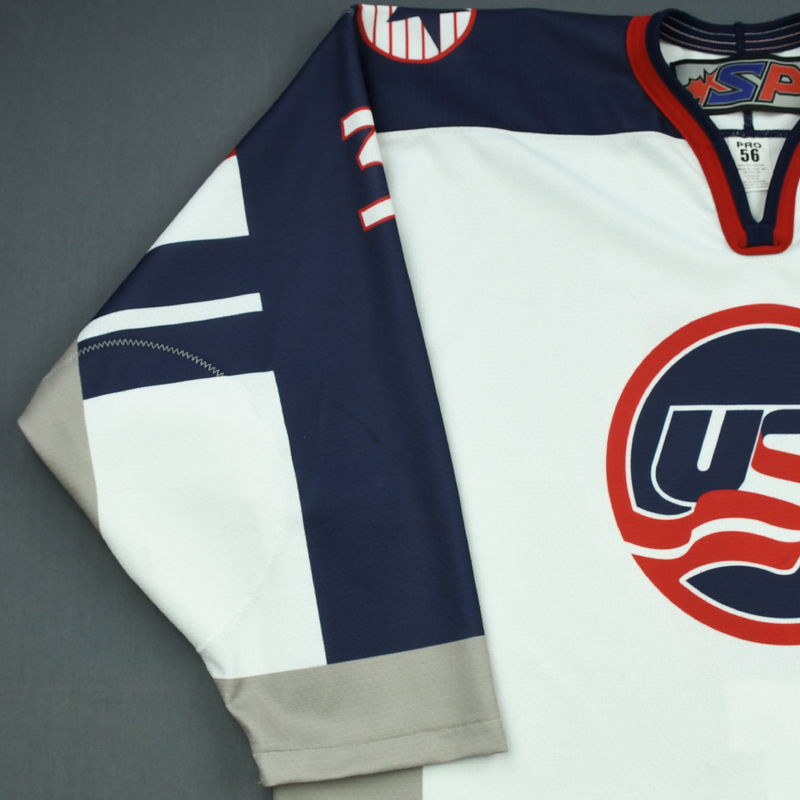 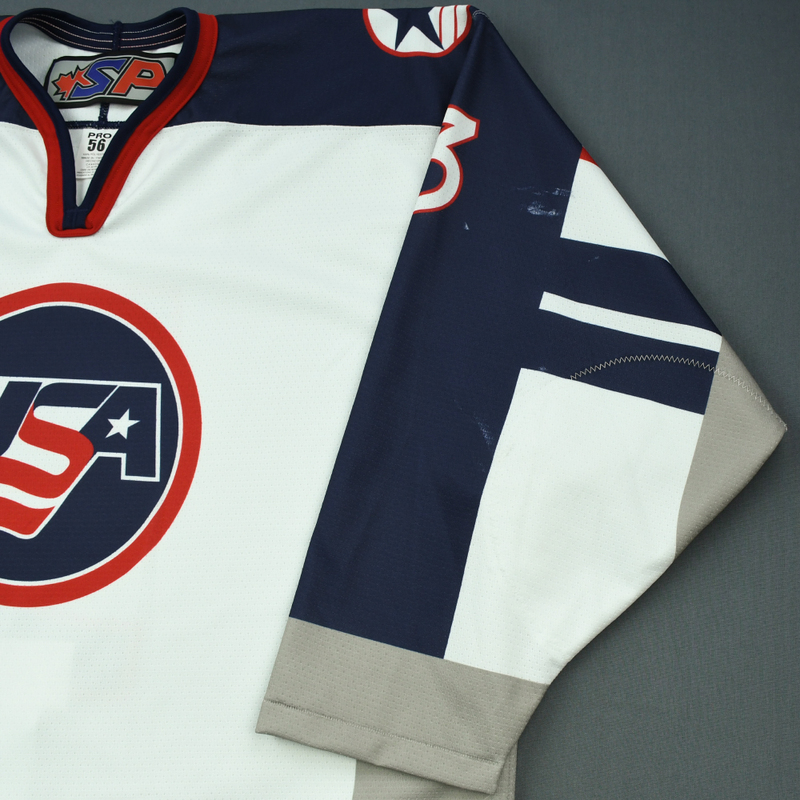 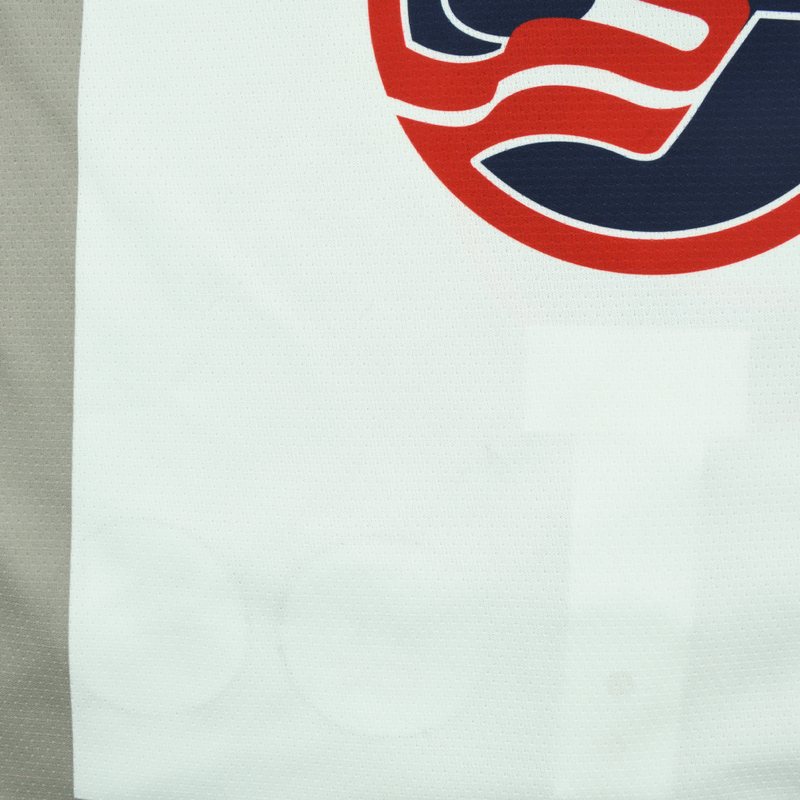 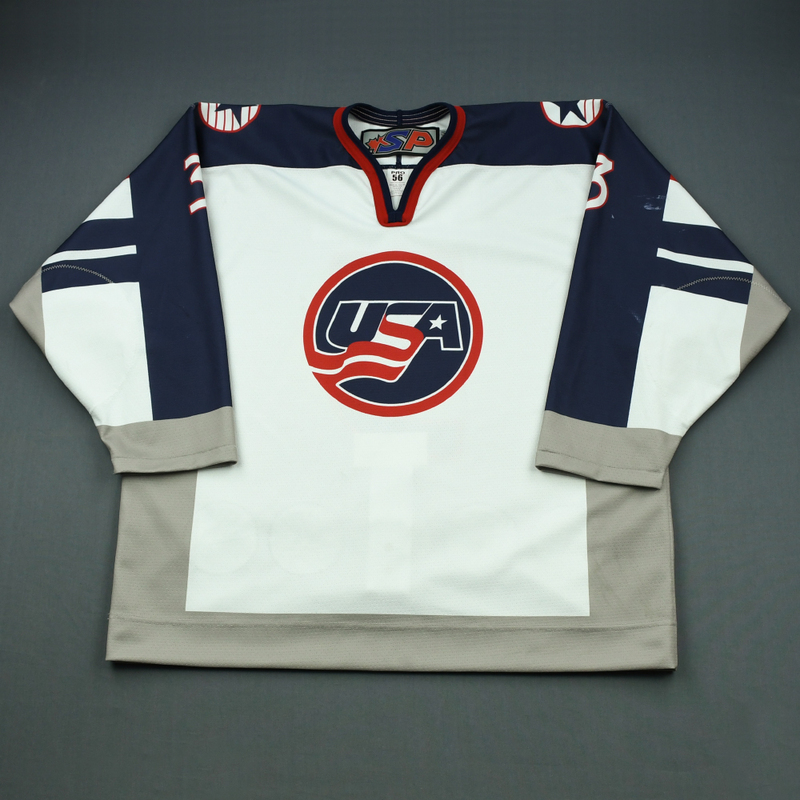 This white jersey, a Size 56, has been registered in the USA Hockey-MeiGray Game-Worn Authentication Program as number USA02168.